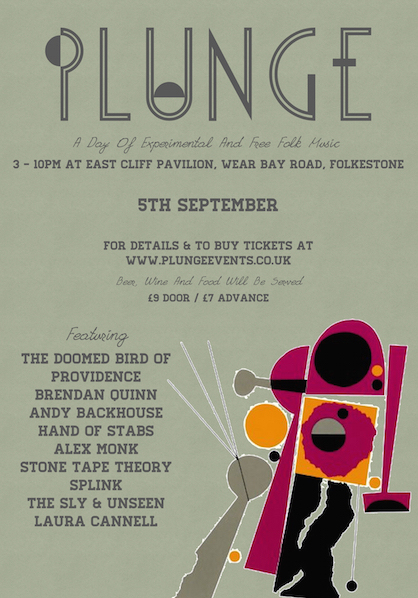 The first in a series of shows the band will be doing to support the recently released EP will be at the Plunge Festival in Folkestone, 5th September. We will be performing the EP in its entirety. Artists include: Brendan Quinn, Hand of Stabs, The Doomed Bird of Providence, Andy Backhouse: Unprofessional Artist, Alex Monk, Stone Tape Theory, Splink, The Sly and Unseen, Laura Cannell.